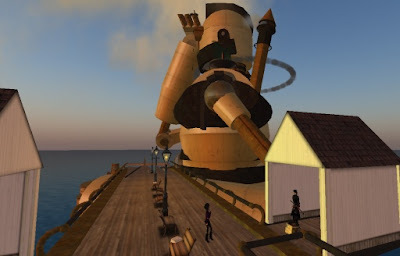 I heard this evening from my friend Elfod Nemeth that his latest product is in the shop on the pier in the Vernian Sea. I saw the product being demonstrated the other day and I was really impressed. 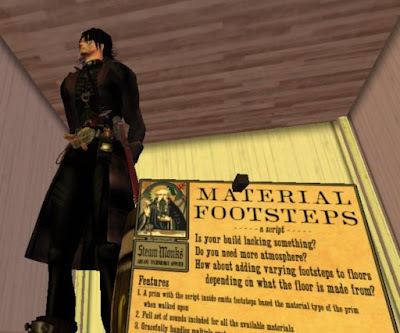 It allows builders to set the materials of their builds to create footstep sounds that are appropriate to the material. You can see - or hear - it demonstrated on Elfod's build in the Vernian Sea. It works for more than one avatar at a time, and adds a lot of realism... much better and more realistic than the footstep effects that you can get in shoes.